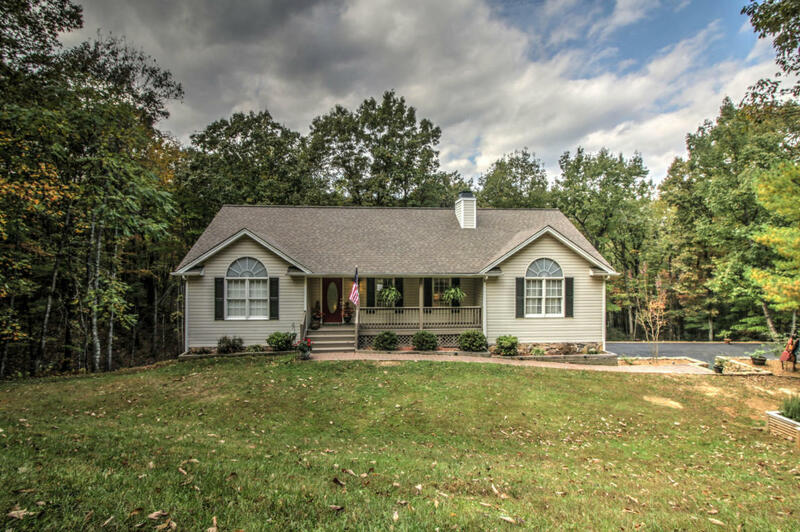 Enjoy peaceful country living while you watch the wildlife from your front porch and still only be 10 minutes to Roanoke. Gorgeous wooded acreage. Ranch Home sits on 5.5 acres. Kitchen has great working space and is totally open to the Dining Area. Stainless appliances. Spacious Great Room with Cathedral Ceiling & Fireplace #1. Home has Dual Master Suites, one on each Floor. Huge Main Level Master Suite with Fireplace has Spa Like Bath with huge separate Shower and Jacuzzi Tub. Second Master Suite has an Amazing Tiled Walk-In Shower. Laundry Room on the Main Level. Home has great space for entertaining including the Basement Family Room/Recreation Room. Quiet Cul-de-sac. Newly Paved Driveway October 2016.